Personnel within the 56th Dental Squadron at Luke Air Force Base, Ariz., wear a “Trusted Care” badge as a reminder to provide exemplary care to their patients. 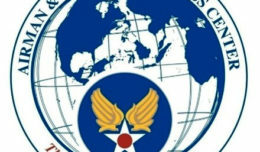 The Air Force Medical Service initiated Trusted Care in 2015 with nine principles: respect for people, duty to speak up, commitment to resilience, focus on front line operations, every Airman every day is a problem solver, constancy of purpose, systems thinking, zero harm and maximize value for the patient. 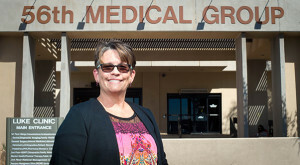 Melissa Kunkel, 56th Dental Squadron expanded function dental assistant at Luke Air Force Base, Ariz., earned the Air Force Medical Service’s August “Trusted Care Hero” award for Air Education and Training Command. Kunkel was recognized by Lt. Gen. Mark Ediger, Air Force Surgeon General, for her discovery of unlabeled bottles containing clear liquid, leading to adjustments made in other dental clinics Air Force wide. The 36-year dental practitioner realized the jars were without required labeled content identification. Though a seemingly simple fix, Kunkel was the first to realize the patient safety issue. Once the problem was elevated to her leadership, similar jars were discovered in several medical treatment facilities throughout the Air Force. Melissa Kunkel, 56th Dental Squadron expanded function dental assistant, stands in front of the 56th Medical Group at Luke Air Force Base, Ariz., Sept 27, 2017. Kunkel earned the Air Force Medical Service’s August “Trusted Care Hero” award for a discovery she made in the dental squadron. 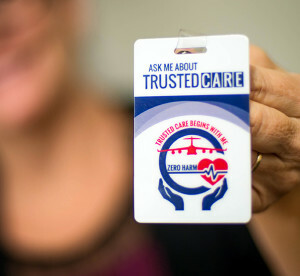 “Trusted Care” is a concept operation for the Air Force Medical Service’s transformation to a high-reliability healthcare system. Its focus is safe patient care, exceptional quality in-garrison, in the air and deployed, and a systematic approach to continuous process improvement. Another aspect of trusted care is to prevent harm to patients by identifying and eliminating risk before it becomes a harmful event. Kunkel’s discovery did just that and initiated a shipment of labels to multiple MTFs throughout the Air Force, fixing the discrepancy. 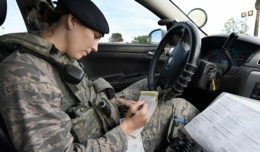 Kunkel will go on to compete for the Air Force level Trusted Care Hero award with her discovery that changed the Air Force from right here in the 56th Fighter Wing.